Phone and electric car makers are bracing for a global shortage of the minerals used to make their batteries. That shortage has led prospectors back to 100-year-old silver mines in northern Ontario. 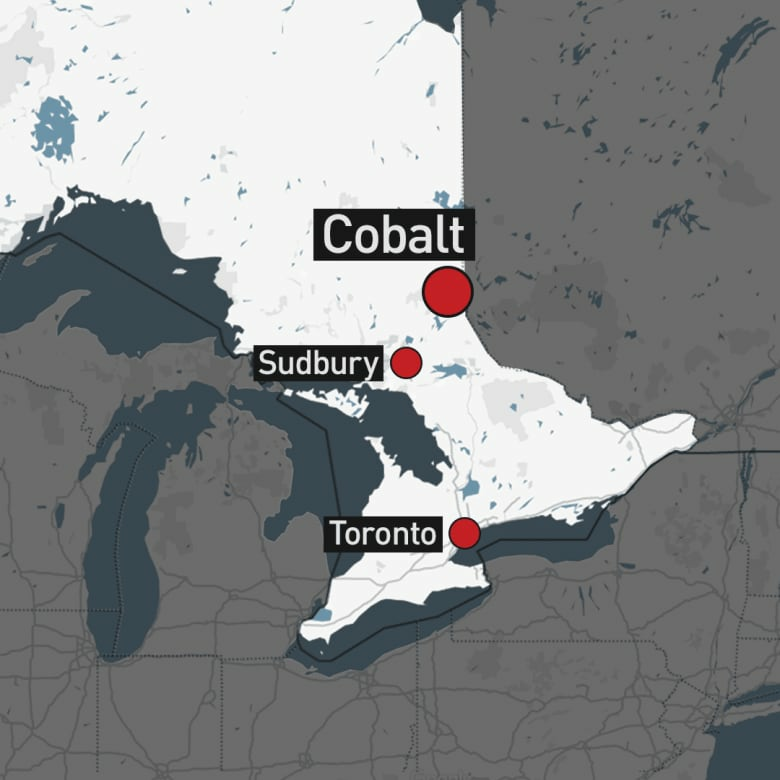 Cobalt, Ont., is hoping to cash in. The flooded bottom of an abandoned silver mine is an unlikely source of hope. But down there in the flickering light, a once worthless metal known as cobalt has sat idle for decades. Now it's one of the most sought after metals in the world and that has many in this town in northern Ontario dreaming of boom times once again. 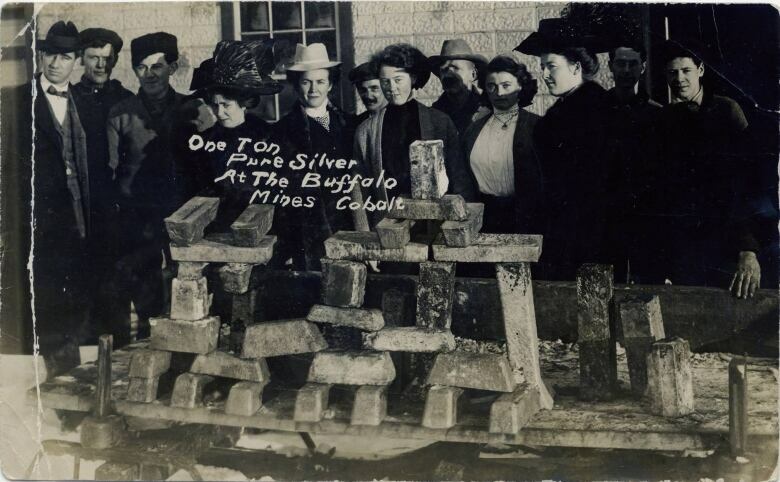 A century ago, prospectors came to Cobalt, Ont., in search of silver. They found it, and the town boomed. 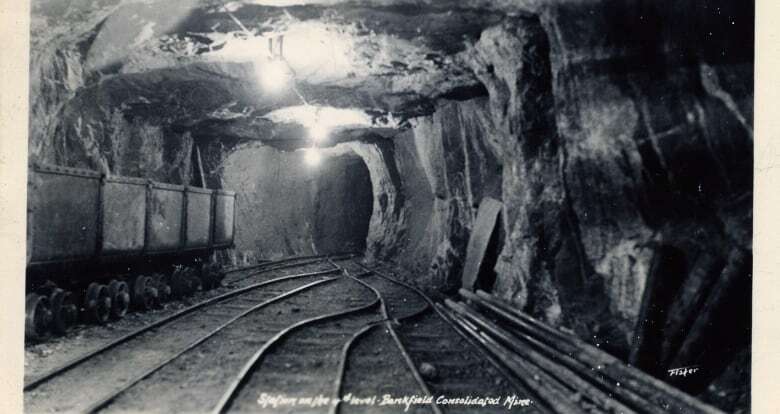 Amid all the silver, miners also found cobalt. So much that they named the town after it. Back then though, it was a mere indicator, a sign that something of actual value was nearby. Now, all that ignored and discarded cobalt is the town's best hope. "The potential here is huge," says Frank Basa, chief executive officer of Canada Cobalt Works. Cobalt the metal has had a spectacular run over the past few years. And now Cobalt the town is poised to cash in. The metal has become a key component in the electric batteries that power our phones and our cars. Almost all of it is currently mined in the Democratic Republic of Congo in central Africa. Mining there has been plagued with concerns over human rights abuses, child labour and environmental issues. Basa is convinced there's enough cobalt in the ground under the small town in Northern Ontario to warrant hundreds of millions of dollars in investment. "Everything in here runs cobalt," he says, pointing to the ghostly pink hue that runs through every tunnel wall in the the abandoned Castle Mine. "What they did was they just took the high grade silver and left all the cobalt behind. Nobody wanted cobalt you see." Basa believes mining the mineral can return this region to its former glory. Back in the 1920s and '30s, this small town on the shores of Lake Timiskaming saw a silver mining rush. It became the economic hub of Ontario. "They actually had an opera here," says Basa. "They had a ballet, they had streetcars. The hockey team [the Cobalt Silver Kings] started here. The provincial police started here." Veterans of the silver rush remember those good times. They remember seeing lots of cobalt down in the silver mines, too. Bill Montgomery made 58 cents an hour when he started working in the mines in the 1940s. "Everybody was working. Everybody had a dollar in their pocket," he says of the town back then. "Now we have nothing." There hasn't been an operating mine here since the 1980s. Montgomery has heard a lifetime of promises from promoters and prospectors. After a career of tough work down in the mines, it would take a lot more than talk to get him excited. He just shrugs when asked if there's enough cobalt here to warrant a mine. "It's hard to say, really." It's not the retired miners' job to say, anyway. That task falls to people like Trent Mell. He's CEO of First Cobalt, another company scouring these old mines and the hills outside town. Mell has a map of the region on the wall of his office. Little red dots indicate drill sites where they've poked through the Canadian Shield looking for cobalt. He says there's no question it's out there. They named the town Cobalt, after all. The question is whether they can prove there's enough and that it's concentrated in a way that makes it profitable to dig it up and get it to market. He says the drill results are encouraging. "A lot of smoke, as they say. Now we have to find fire." Mell knows the clock is ticking. The smartphone you have in your pocket likely has a few grams of cobalt in its battery. But pounds of the stuff are needed for an electric car. And with electric car sales soaring, demand for cobalt has spiked as well. 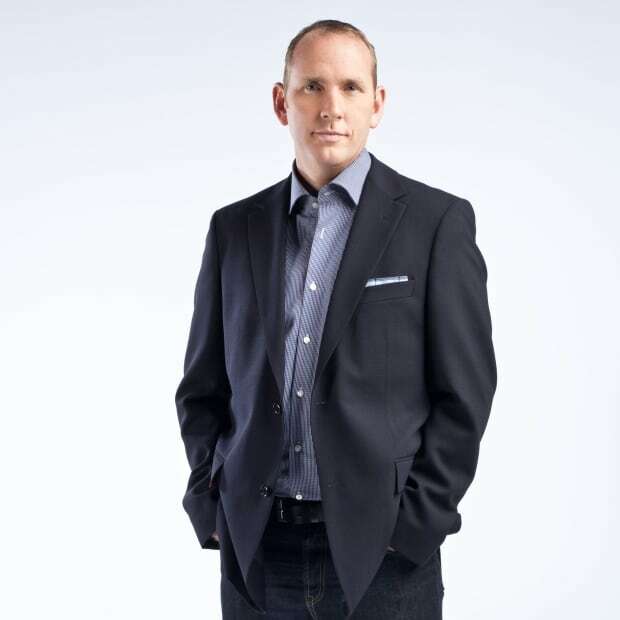 "As an industry, and as a cobalt explorer, we're playing catch-up," Mell says. "You and I can decide tomorrow to go out and buy an electric vehicle. But as miners we can't respond quickly enough." That potential shortage has driven up the price of cobalt. It was the best performing commodity in 2017. That means more money for exploration, and more companies competing to see if they can strike it rich. So, First Cobalt is drilling 24 hours a day, seven days a week. They've searched through the old mines and have plotted a grid on Mell's map where they hope to find something where the first generation of miners didn't bother to look. The drill rig is hauled into a muddy opening. The crew performs like clockwork, feeding the drill bit into a hole, drilling down and pulling up core samples for testing. These core samples are pored over on site, sent back to town where they're cut up, and pieces are sent off to the lab. A new one is hauled out every 20 minutes or so. First Cobalt's vice-president, Frank Santaguida, pulls one dark piece of rock out of the tray. He reads the chunks of minerals like a coded language, looking for a sign. This one comes up empty, but each sample fills out the picture. Each piece tells him something about the search. And while miners are a skeptical lot, prospectors live on hope. "It may be in the next drill hole," he says. Everyone in this region knows there's cobalt here, but its mere presence isn't enough. Opening a mine would cost hundreds of millions of dollars. So, there has to be just the right amount, in just the right concentration that would allow someone to come in and carve out a profit. If the retired miners are skeptical by nature, the prospectors are the optimists, the enthusiastic believers that Cobalt can rise again. But for now, even as they dig through these hills, even as they see thick veins of cobalt running through old mines, they can only say "maybe" when asked if it will be enough.